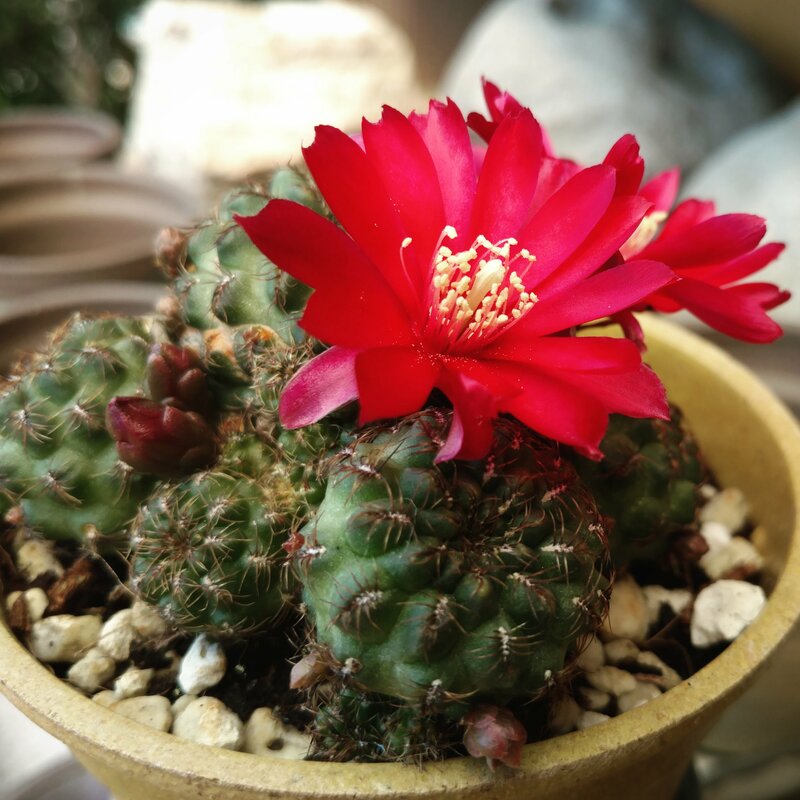 Posted April 16, 2017 7:56 am & filed under Cactus. Clustering small stems, variable red to magenta flowers, spiraling ribs with prominent tubercles. Elongate areoles. Short, tiny brown spines. Purple-tinged stems in full sun.